Gamblers who are in to playing Video Slot must be familiar with SPINiT Casino. Why? It is one of the most popular casinos around. In this casino players will find over 1.200 of the best games in the industry. And not only do they work great on desktop. A lot of them also work perfect in SPINiT Mobile Casino. The SPINiT Mobile Casino is specially developed for gamblers who love to play on the go. It doesn’t matter where you are, you can always play your favourite games in the SPINiT Mobile Casino. In this extensive post we will review the mobile casino of SPINiT. At SPINiT Mobile Casino you will find more than 200 of the best mobile games. And since the casino just opened its doors, this amount increases every day! In the mobile gaming lobby you will find some great slots by NetEnt, Microgaming and Play’n Go. By using the horizontal bar with filters you can easily find your favourite games. Slide now and select the category you are looking for. Besides slots SPINiT Mobile Casino offers some Jackpot Slots, Table Games, a Live Casino and some Classic Slots. While selecting categories we did found out that some of them where empty on desktop and mobile. Which is not very user friendly. After some investigation we found out SPINiT doesn’t offer all the games at all countries. Since we are from the Netherlands some of the games are probably restricted. All with all we think this mobile casino is fine for players who like to play NetEnt Slots. For players who like to have a wide selection of casino games. We recommend signing up at a casino that offers more games. In comprising; Videoslots offers more than 600 mobile casino games! Which is a lot more then SPINiT! The SPINiT Casino works great on either Android, iPhone or iPad. This is because the casino optimized their website for mobile use. You don’t have to download any app to play on your mobile or tablet. Simply navigate to the regular website and SPINiT will do the magic. Everything will get scaled in order to make it work on your small screen. Please let us know what you think about this mobile casino. And when you have any problems playing. Please contact the customer support. Maybe they can help you fix it! Collect 200 Free Spins + €1000,00 bonus money at SPINiT! All new players can collect 100 Free Spins at SPINiT by making a first deposit! Besides that they will receive a 100% match up bonus up to €200,00! With the welcome package it is fairly easy to try out the casino and some of its games. There is a total of €1000,00 bonus money to be collected at this online casino. This can be done by making four deposits in a row. How it works? We will explain it to you! On your 1st deposit: You will get a 100% bonus up to €/£/$ 200. Besides that you can collect up to 200 Free Spins! On your first day you will get 20 Free Spins on Starburst. And on the continuing 9 days you can also play 20 Free Spins on Starburst. So after 10 days you have collected a total of 200 Free Spins! On your 2nd deposit: You will get a 50% bonus up to €/£/$ 300 at SPINiT Mobile Casino! On your 3rd deposit: You will get a 50% bonus up to €/£/$ 300. For example, deposit €100,00. And get €50,00 extra bonus money! On your 4rd deposit: You will get a 100% bonus up to €/£/$ 200. For example, deposit €100,00. And collect €100,00 extra bonus money! Click here and collect your SPINiT Welcome Package! Is SPINiT Mobile Casino user friendly? We wanted to test SPINiT Mobile Casino, so we made a small deposit of €20,00. Depositing some money went pretty smooth. We made a deposit with SKRILL in a few seconds. After that we navigated to the gaming lobby. As told before we quickly discovered not all games are available in the Netherlands. Which is not so nice. We decided to try out some of the NetEnt Video Slots, we didn’t really had a choice because the rest of the slots were unavailable. Most of the mobile games loaded very fast, on Wi-Fi but also on 3G. We weren’t really lucky, our money was gone in 15 minutes. The website did run pretty smooth and the graphics worked out fine. All with all our experience with SPINiT Mobile Casino was fine but we do think the casino needs some tweaks. Especially while browsing in the landscape mode not everything came out as it should be. 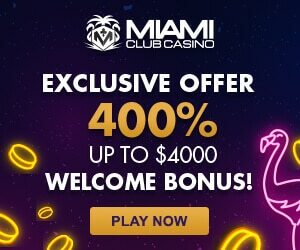 How to sign up at SPINiT Mobile Casino? Want to try out SPINiT Mobile Casino? Then sign up now and collect up to 200 Free Spins on Starburst + up to €1000,00 bonus money! Signing up at SPINiT Mobile Casino is very easy and only takes minutes. Below we will explain how to sign up, and how to collect your bonus money! 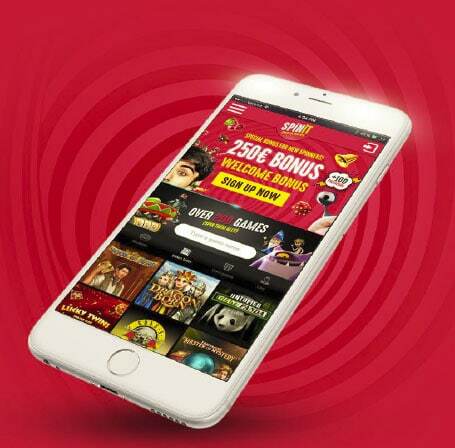 Click this link and navigate to SPINiT Mobile Casino. Click on the yellow ‘’Sign up now’’ button in the middle of the slider. Choose your username and fill in some account information. Fill in some personal details to finish your free and personal account. Activate your account by clicking the activation link in your email. Make a first deposit using your favourite deposit method. Choose if you will like to receive a welcome bonus. Play your favourite mobile games on your Smartphone, Tablet or iPad! Want to receive great offers on your mobile on a regular basis? Then accept to receive offers through SMS during your sign up. When you do this you will get weekly bonuses to fire up your action at SPINiT Mobile Casino! Besides that, SPINiT also emails you weekly offers to increase your chances of winnings big. And for loyal players there is also a special VIP club. Which offers many advantages such as personalizes cashback offers, premium customer service and exclusive offers and bonuses. Do you want to take advantage of some nice bonuses at SPINiT? Then have a look at the table below. At the moment you can receive a 200 Free Spins Bonus. Besides that the house offers a Welcome Package with four special bonuses. And regular players can always get a nice reload bonus on Monday. There is no bonus code needed to collect your bonuses. So sign up now and collect your Free Spins and Bonus Money!